Derek joined Trucost’s financial institutions team in 2015 after completing an MSc in Carbon Finance at the University of Edinburgh. He is focused on natural capital accounting and portfolio climate risk projects for investors. 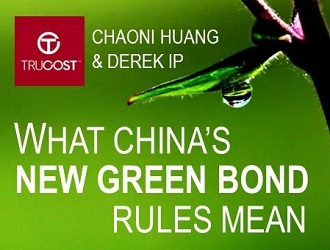 During his MSc study, he worked with CDP on corporate behavioral change strategy and the Climate Bonds Initiative on green bond policy research in China. Prior to his MSc study, he worked for a venture capital firm in Hong Kong and Beijing focusing on clean tech early stage investment during 2009-2011. He later moved on to become a carbon and sustainability consultant in Hong Kong with a business development and project management role. His works included supply chain sustainability improvement programs across Asia and corporate carbon management projects for major listed companies in Hong Kong and China.